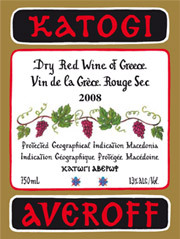 Jolly nice Greek red wine. No, I won’t make some cheap, ill-informed comment on Grexit or their continued presence in the EEC…I think we are all becoming bored with that. No, no, no, Friday night was Barbie night with Elodie’s fine Gaspacho, followed by a loin of pork (heroically boned by me, though I do say it myself) withn a Balsamic reduction (River Café Book – but here’s an alternative), short ribs with fennel grains and lime, herb roasted new potatoes and a green bean salad. And then as the embers died a raspberry and ginger biscuit tirimasu. So from the top, a magnum of Anthea Valdobbidene Prosecco, livened up with a couple of dashes of Angostura bitters. Frankly quite a nice concoction giving a slightly ginger twist. And much less sweet than a “Spritz”. Next, a bottle of nv 1er Cru de Saint Gall champagne. Quite frankly I am a bit anti-champagne at the moment and this one is a good illustration of why: straight off the Côte de Blancs, it’s a Blanc de Blanc lacking any body, weight or style. It’s insipid with just a ferocious streak of acidity to deliniate clearly its limits. What is there to love? With the Gazpacho a very odd bottle of Cantina Rizzo’s 2013 Amon Fiano d’Avellino. I have ofter preferred this to Torrecino’s very mineral version. It is generally quite honeyed and lush, but tonight it was taking “honeyed” into the realm of oxidization. An odd bottle, or is the case shot? But then on to Macedonia and the quite lovely 2009 Katogi Dry red wine of Greece. As I opened it and sniffed it smelled like Cabernet Franc with that lovely band of green. 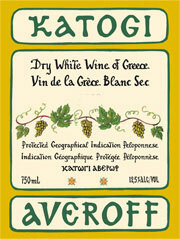 However, as I check out their website I see that it is in fact Cabernet Sauvignon, Merlot and Agiorgitiko. Maybe it’s the Agiorgitiko that gave it the green. Anyway, it’s very fine and worth it just for the lovely label. At six years old it was standing up well, no sharp edges, a medium body and nice, firm but soft tannins holding the whole thing in place. Their equally lovely white, tasted a couple of years ago is equally fine, although I would have had it down as Malvasia rather than a mix of Chardonnay and Roditis. Then 2001 Chateau Chasse Spleen, a good bottle as ever from this domaine. Solid as a rock, showing no huge signs of age, just a reliable workhorse from Bordeaux. 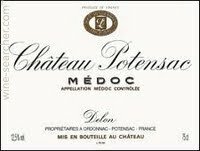 Likewise the 2003 Potensac, one of Parker’s, “sleepers of the vintage”. This is the second bottle I have tasted from my case and I think it is best not drunk outside. 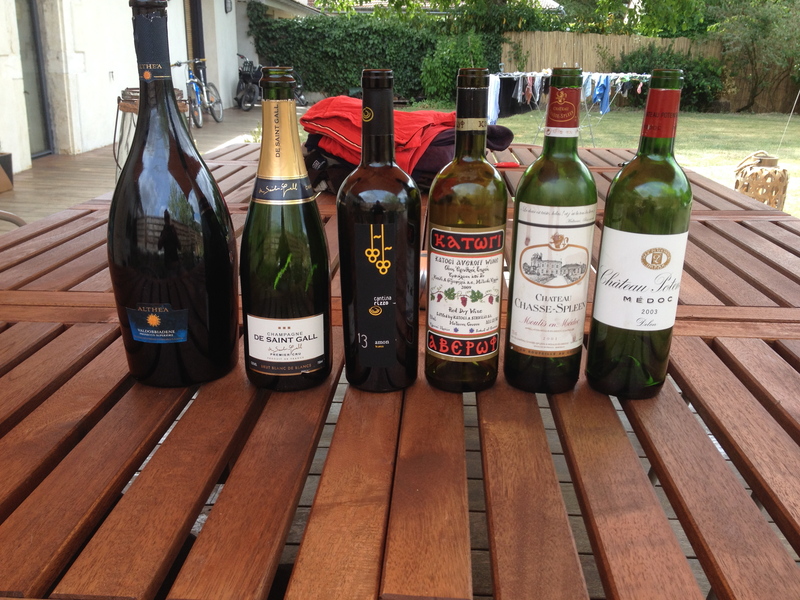 Seriously; the first bottle,drunk of a Sunday evening with a classic Sunday roast seemed more opulent and unctious. This just slipped down without making itself noticed. Although I really think cheese is better with white, the last glasses went well with the Shropshire Blue, aged Cantal, Cindré de Scelles sur Loire and the Boulette d’Avesnes. The Boulette, as ever, drew a mixed reception. And as the moon rose over the end of the garden and to accompany our espressos, I confess a further indulgence with a glass of Il Poggione’s fine grappa di Brunello..
matthew, thy name is eclecticism! Your being anti-champagne is a feeling that could and should strike anyone who uncorks an always fairly expensive bottle of this archtype of bubblies and becomes aware from first sip that it is no better than well-made versions from elsewhere. On the other hand, when a bottle of champagne has the special intensity (not necessarily weight, a la Krug, Bollinger) and energy that only champagne can bring at its best…well, then the pretenders fade back…. Firstly I only recently discovered your coment…my apologies for not replying. I was with Laurence Ponsot last week and he mentioned a French tv programme on the whole Kurniawan shebang. Are you teh same Peter Hellman as there in?